Photo Viewer 2014 Yamaha F200XB Yamaha F200XB Outboard Motor Four Stroke V6 3.3L Vital Information Year Make Model Mileage Engine 2014 Yamaha F200XB 0 200hp Exterior Interior Stock# VIN Unknown Color #6DAX-138 6DAX-1010138 view window sticker view new window sticker Photos Description 2014 Yamaha F200XB Type: Outboard Motor Year: Current Model: 200 HP Four Stroke V6 3.3L Model Number: F200XB Series: Four Stroke V6 3.3L HP: 200 Engine Type: 60° V6 DOHC 24-Valve Displacement: 204.6 ci (3352 cc) Bore x Stroke: 94 x 80.5mm (3.70 x 3.17 in) Prop Shaft Horsepower: 200hp at 5500 rpm (VF200LA) Compression Ratio: 9.9 Fuel/Induction System: EFI/VCT/DOHC Exhaust: Through Propeller Intake: Single Throttle Valve Ignition System: TCI Micro Computer Spark Plug: LFR6A-11-00-000 Alternator Output: 44 Amp (Battery charge Starting System: T = Electric w/ PTT Lubrication: Wet Sump Engine Oil Capacity: 4.7L/4.5L w/without filter Full Throttle RPM Range: 5000 - 6000 Cooling: Water/Thermostatic Control Recommended Engine Oil: Yamalube® 4M (See owner's manual) Recommended Fuel: Regular Unleaded (Minimum Pump Octane 87) Recommended Fuel Filtration: Yamaha 10-Micron Fuel/Water Separating Filter (external) Ethanol Blend Limit: 10% Maximum Gear Ratio: (30 Gear Shift: Forward, Neutral, Reverse Shaft Length: 25" Degree of Tilt: TBD Degree of Trim: -3° through +16° C.A.R.B. Rating: 3-Star Dry Weight: 608 lb Rotation: Standard (Right) Mounting Centers: 28.6" Steering Angle (maximum): 32° from center, either direction Warranty: 3-Year Pleasure, 3-Year Government, 1-Year Commercial Command Link® System: Optional Power Trim & Tilt: Standard Freshwater Flush: Standard S S S Counter Rotation: "LF" Model - Available on F200, F250 Yamaha Diagnostic System: Compatible Multi-Charge Monitoring System: Standard Single Belt Drive System: Standard Features: Mechanically Remote-Controlled Four Stroke V6 Outboard, Narrow 60° 3.3L Block Design, Variable Camshaft Timing, Long Track Induction System, Precision Multi-Point Fuel Injection, 6 Independent Fuel Injectors, 4 Large Radius Valves Per Cylinder, High Intake Valve Lift, Double Overhead Camshafts, In-Bank Exhaust, Exhaust Pressure Reduction System, Compact, Lightweight Design, TCI Microcomputer, Electronic Single Throttle Valve (65mm), Direct Drive System, Sacrificial Anodes, Forged Pistons, Water Cooled Rectifier/Regulator, Water Separator, Direct Ignition, YDC-30 Aluminum Alloy, 5-Step Anti-Corrosion Paint Process, Top Mounted Electrical, High Output Alternator, SST Drive, Prop, Shift Shafts, SST Steering Tube, Magnetic Drain Plug, Dual Water Intake Gearcase Contact Us Dealer Contact Midsouth Auto Group Ask Dealer A Question If you have a question, please call or complete the form below for a quick response. Name Email Phone Question(s) Secure Online Credit Application Applying for a vehicle loan online is one of the quickest and easiest application methods. Our secure online application form is easy to complete, all you need are a few personal and employment details. Get started now. Below are a few of the other vehicles currently available from Midsouth Auto Group Want to know where our customers live? Shipping Midsouth Auto Group proudly recommends Earth Auto Shippers for your vehicle transport. Earth Auto Shippers is a fully licensed vehicle shipping company. Earth Auto Shippers offers "door-to-door" low-cost shipping services using enclosed and open trailers. View more info » About Us & Awards Terms & Conditions Midsouth Automotive Group Terms & Conditions of Sale Test Drives and Vehicle Viewings: All vehicle test drives and showings are by appointment only, please notify us at least 24 hours prior to desired time to make an appointment. Vehicle Condition: All vehicles sold by Midsouth Automotive Group are pre-owned vehicles, and therefore may have imperfections such as dings, chips, light scratches, and other wear and tear evidence. Please understand that according to age and mileage of vehicles this will vary. We include over 50 pictures of each vehicle to help show the condition of our vehicles. Please contact us for a complete condition report on any vehicle of interest. Titles: We guarantee clean, clear, and lien free titles on all our vehicles. All mileage stated is actual unless otherwise noted in the listing. Please understand that the mileage may be higher at time of delivery due to test drives and transportation. An Odometer Disclosure Statement will be included in your sales documents. In the state of Texas dealer title work can take up to 20 business days. All buyers will receive a temporary license plate which is good for 3 weeks. We hold all titles 10 - 14 days after payment. Shipping and Transportation: We are willing to help with any feasible shipping or delivery arrangements that the buyer may wish to arrange. Please understand that we will arrange shipping for you as a value added service only. We do not have any affiliation with any shippers or transporters. We also provide complementary airport transportation from Dallas Fort Worth DFW International Airport to our facility with arrangement. Actions: Midsouth Automotive Group reserves the right to sell this vehicle through other venues, provided that the auction has not ended with a winning bid. If you have only negative feedback or bid retractions, DO NOT BID without pre approval from Midsouth Automotive Group. Unqualified Bidding, Nonpaying Bidders, Auction Interference, Shill Bidding, or any form of harassment can be subject to legal prosecution. Vehicles: We will guarantee that this vehicle will pass the Texas State Emissions Inspection at time of sale. At buyer's own expense, we will permit any pre-sale inspections to be conducted at our facility to examine this vehicle for mechanical defects or problems. We do our very best to describe the condition of our vehicles, however, we are only human and these are used vehicles, therefore, we will not be held responsible for errors or omissions in the description of the above vehicle or typographical errors in any of our vehicles listings. All vehicle options, specs, features, color descriptions, history, paint history, maintenance records and manufacturer's warranty information must be researched and confirmed by buyer or 3rd party service before completing purchase. We will furnish all original manuals, service records, extra keys and keyless remotes, or any other accessories only if available to us, please understand that there may be missing accessories such as CD cartridges, navigation discs, floor mats, keyless remotes, ect; so please be sure to check the pictures to make sure that they are present with this vehicle or contact us for complete and accurate accessories list. Helpful research information can be found at Edmunds.com, AutoCheck.com, Carchex.com, CarFax.com, Etc... We do not guarantee any aftermarket accessories or parts on any of our vehicles such as lift kits, stereos, performance enhancements, ect. Understand that anything aftermarket added to a vehicle can alter a vehicles ride, performance, durability, fuel consumption, warranty, quality ect. Any vehicles that have been lifted are stated altered suspension, and altered frame because of the welds and holes made to the frame for the suspension and lift kits. Vehicle Warranty: All vehicles are being sold as is, where is with no warranty, expressed written or implied. However some vehicles may be covered under the manufacturer's warranty. Manufacturer's warranty is a vehicle manufacturer promises to stand by its product and asserts that the manner in which the car was made and the materials used to make it are free from defects. A typical manufacturer's warranty lasts 4 years or 50,000 miles, whichever comes first. The manufacturer's warranty is a guarantee that the manufacturer will make any necessary repairs due to defective materials used or improper manufacturing, at no charge to the owner. Midsouth Automotive Group depends on CarFax.com for the accuracy of the manufacturer warranty start date and expiration date stated in the vehicle listings. Therefore, no responsibility is assumed by Midsouth Automotive Group or its agents for errors or omissions in this information. It is the buyer's responsibility to verify coverage and expiration dates via the vehicle manufacturer. We do offer Services Contracts / Mechanical Breakdown Protection plans on many of our vehicles that are services and sold by third party warranty company's and are not administrated by Midsouth Automotive Group. These warranties are accepted by most authorized service centers and new car franchise dealerships nationwide. Details and prices on our complete line of warranties and service agreements are available upon request. Buyer's Guide: This vehicle is being sold AS/IS WHERE IS, with no guarantees or warranties written or implied. As required by federal law an AS-IS Buyers Guide well be included sales documents and must be signed and accepted by buyer. Payment Terms: Bidders must seek pre-approval and commitment from a lender before making a bid. The successful high bidder will submit a $1,000 non-refundable deposit via PayPal within 2 business days of the close of the auction to secure the vehicle. Buyer agrees to pay remaining balance due (plus applicable fees and taxes) within 7 business days of the close of the auction. Acceptable Payment Methods: Certified Bank Check, or Bank Wire Transfer. We do also accept payments from online lenders such as: eBay Finance, please contact us for further information regarding these forms of payment. For all cashier's check payments, we must receive a faxed copy 2 days before time of delivery for verification. Fees and Taxes: All sales are subject to a $50 Documentary fee, a $135 Online Admin fee for fee for handling paperwork, filing titles, mailing and copying costs for out of state buyers. And a Vehicle Inventory Tax which is only 0.002679% of the sales price, for example: $10,000 purchase = $26.79 V.I.T. Tax. Texas residents must pay 6.25% sales tax and all other applicable Texas fees and taxes. Out of state buyers are responsible for their local state taxes and title transfer fees, which should be paid within. UPDATES Midsouth Automotive Group reserves the right to change the terms and conditions of sale at any time. Customers are encouraged to review the Terms of Sale on a periodic basis for modifications. This Midsouth Automotive Group Terms and Conditions of Sale is a revision/update. This Policy supersedes any previous terms and conditions. Any terms and conditions that contradict this revision or update will be invalid. Terms and conditions are subject to change without notice. Ad created by eCarList.com. Call 214-722-8200 to find out how eCarList can service your dealership. CALL MATT AT 352-317-5105 ANYTIME. LOCATED IN GAINESVILLE, FLORIDA. TITLE IN HAND 2003 KEY WEST 1520 FLATS BOAT. YAMAHA 60 FOUR STROKE THAT PUSHES THIS BOAT TO 35 MPH. SITTING ON A NICE ALUMINUM TRAILER. ENGINE IS FULLY SERVICED AND READY TO GO. BOAT IS 100 PERCENT TURNKEY. 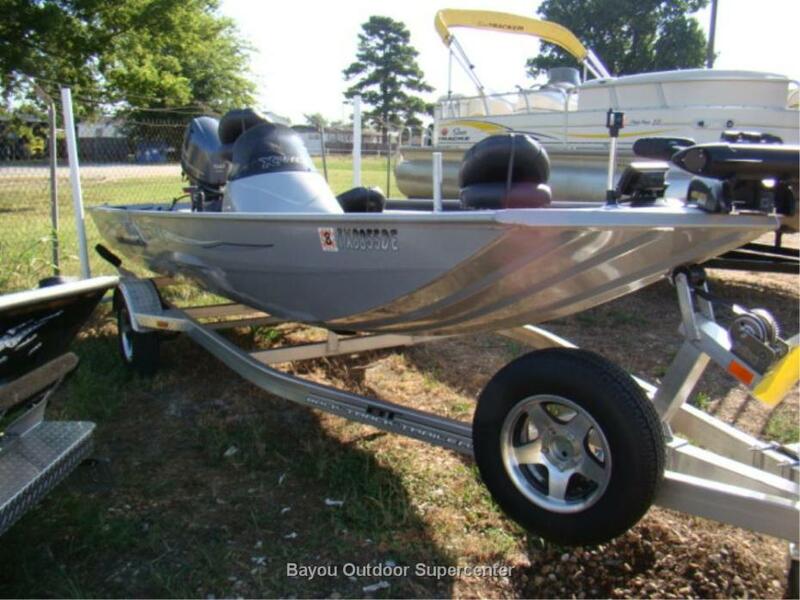 HAS THE FOLLOWING: COLOR GARMIN FISHFINDER, STAINLESS STEEL PROP, FUEL/WATER FILTER, BATTERY SWITCH, PREWIRED FOR TROLLING MOTOR, BIMINI TOP, ALL NEW CUSHIONS, ETC. I RESERVE THE RIGHT TO END LISTING EARLY AS I HAVE IT LISTED LOCALLY FOR SALE AS WELL. I HAVE ABOUT 60 PICTURES. CALL ME FOR MORE. 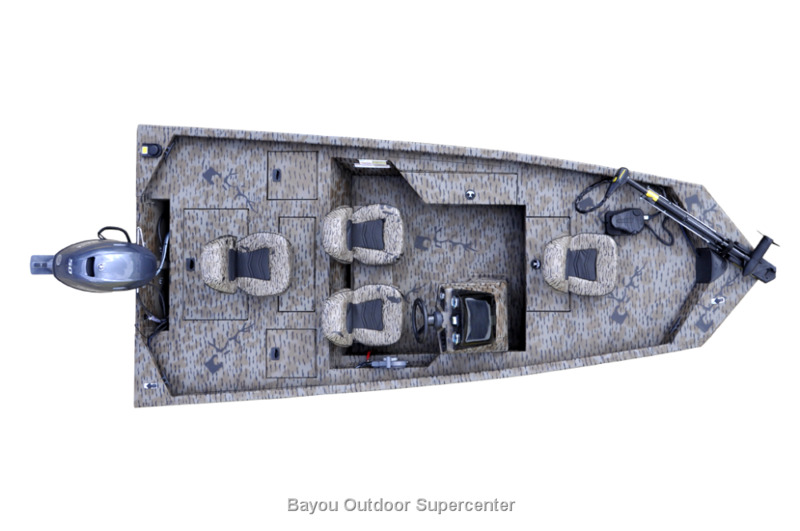 2012 Xpress H17PFC 17ft camo all,welded aluminum duck boat side console with Hyperlift bass boat ride Hull, Yamaha four stroke115HP motor stainless steel prop, 75 pound thrust 24 Volt MinnKota trolling motor with removable mount. 3 12volt,batteries 1 cranking two for trolling motor, hummingbird 365 fish finder with GPS, large rod/gun box, 3 pedestal seat bases on front casting deck , 1 Pedestal seat base on rear casting deck, two Aerated livewells with minnow bucket built in rear livewell, Bilge pump, two rear storage boxes, large front storage box, All aluminum trailer with custom wheels all like new only been in water 8 times, less than 10 hours on motor. Has been in closed in garage since new. very fast boat top end around 50 Miles in hour. 10 hour service has been completed. 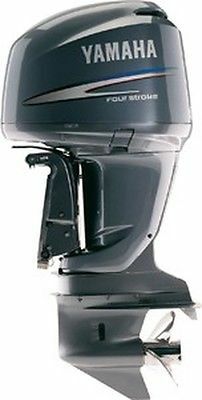 Hull has 10 year warranty and motor has remaining Yamaha factory warranty. 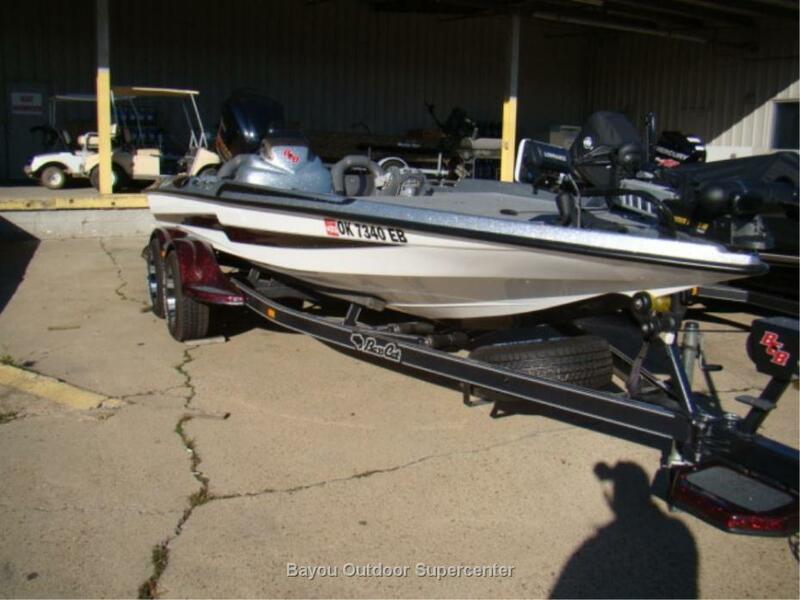 NEW, NEVER USED, NEVER BEEN IN THE WATER, GARAGE KEPT, XPRESS XP180 ALL WELDED ALUMINUM BASS AND DUCK BOAT, EXPLORER SERIES, WITH YAMAHA F90TLR 4 STROKE ENGINE (STILL UNDER WARRANTY), CUSTOM ALUMINUM TRAILER AND OVER $5000 IN EXTRAS. OVER $22,000 PAID. PROFESSIONALLY RIGGED AND SET UP. Boat was purchased and rigged for use in an outfitting business that never happened due to permitting problems. Only the best accessories were purchased and rigged to create a bulletproof, intended for hard use package. Boat was purchased on April 15, 2012 and put in my garage 5 days later where it has not moved since. List of extras includes: On board 3 bank battery charger with 3 batteries, HUMMINGBIRD 998csi fish finder on RAM MOUNT swivel mount at console, HUMMINGBIRD 778C HD fish finder mounted at bow, MINN KOTA Fortrex 80 lb thrust trolling motor, YETI 50 qt cooler on deck mounts, camo paint with EXTREME COAT non skid coating, stainless prop, 30 gallon live well, carpeted rod storage box for 7+ foot rods, huge carpeted anchor and accessory locker in bow, additional under seat storage. This is the best equipped XPRESS in the US! 2017 Encore Bentley Pontoons Elite 253 with Yamaha 150hp 2017 Bentley Elite 253 - Tritoon with Yamaha 150hp 25' Black with upgraded champagne rails, tan SE interior package and beige Seagrass vinyl floor covering. Lots of upgrades! 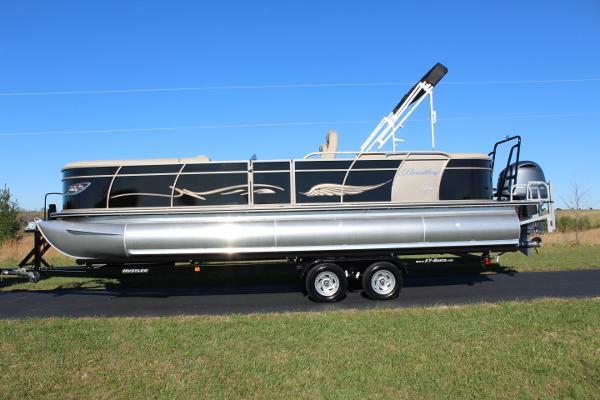 Including split rear loungers, dual captains chairs, upgraded helm station with built in Lowrance HDS-5 GPS system, black ski tow, twin ladders, 6 speakers, hydraulic steering, lifting strakes and aluminum under skin are included. Sunbrella matching bimini top with boot. BLUE LED light package with mood lighting, under deck lights, underwater lights, and speaker lights. Dry weight is 2080 lbs. 25' long, 8'6" wide, 16 person capacity and a 32 gallon fuel tank. Plenty of power with this Yamaha 150hp 4 stroke EFI motor and a Stainless steel prop. Price does not include trailer. Delivery available. You can see all our boats, videos of our boats and fill out online credit app on our website. Have a trade in? We need it. For a limited time: free freight and dealer prep! 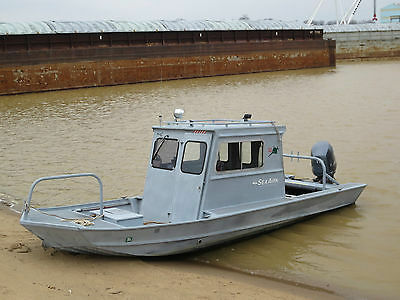 Boat is located in Tamarack,Minnesota.Please contact the owner @ 218-821-2121. 2400# Caravan Trailer (Lifetime trailer license and swing tongue); Yamaha motor is 4 stroke. 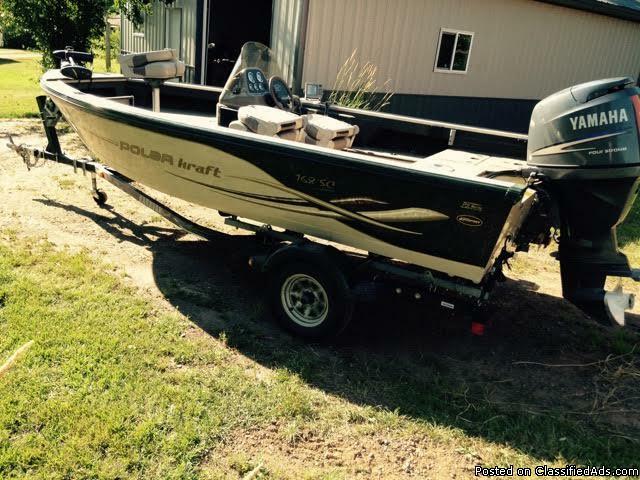 3 pedestal seats- excellent condition, Minnkota 55# trolling motor included, Eagle Mark 480 Depth Finder with 4"x4" screen, 2 large live wells (front and back), Aerator for live well, tilt motor (front/middle/back), new starting battery in 2014. 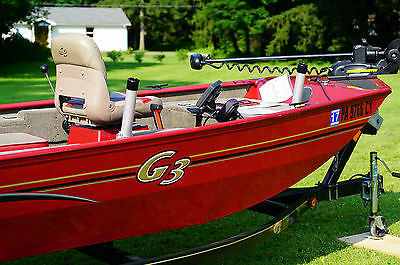 Clean boat, plenty of storage, spare prop, have all manuals for equipment. 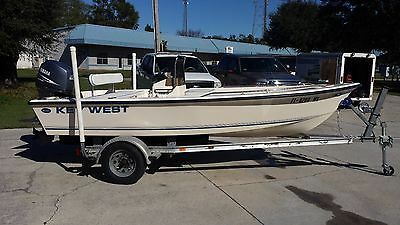 Easy step gunnels, open port side for ample fishing space. Stored in heated garage every winter. Recently changed oil and filter- ready to go! Excellent boat! 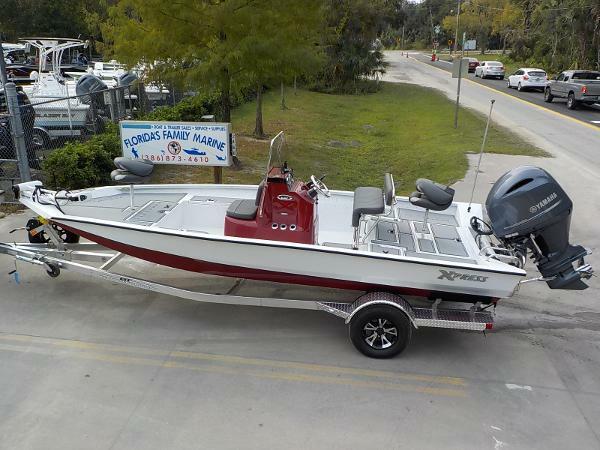 2005 Sea Pro SV1700CC Bay Boat with stainless package, on board battery charger, 2 transom live wells, 2 dry storage, anchor storage, swim step with fold down ladder, and 3 new batteries. 2006 Yamaha 115 V4 motor with stainless prop. 2005 Magic Tilt aluminum trailer with new tires and trailer guideons. Lowrance LMS 334c iGPS. Minn Kota Riptide 80# thrust troll motor with one hand control tilt tiller. Always stored under carport. $8,000.